CRYENGINE can still be obtained from Github as can full Sandbox Editor source code. Anim: Save/load breaks default character movement - note: singleplayer only). Save: Using Save as... after a save makes brushes disappear and unusable. Rendering: Resizing the Properties Panel corrupts rendering in the Character Tool. Designer: Designer surfaces are invisible or flicker during edit mode and after. Global VFX: Switching layers breaks particles, visuals and audio for them. Area: VisArea does not hide objects outside of the area. Substance: Creating a substance graph preset does not create the related texture files (diff, spec, ddna, etc.). DX12: Various issues related to DX12. Vulkan: Various issues related to Vulkan. C#: Memory corruption can occur after reloading scripts in Sandbox, resulting in possible crashes and undefined behavior. ​Fixed: Wwise implementation now uses proper MSVC libraries during linking in regards to the used compiler toolset. Fixed: Crash when ungrouping an empty group. Fixed: Crash when extracting objects from a prefab. Fixed: Crash when renaming imported textures. Fixed: Creating a substance graph preset does not create the related texture files. Fixed: Warnings when reloading item scripts in GameSDK. Fixed: Message notification for the texture compiler may not dissappear. Fixed: (FBX Importer) Mesh importer cannot save new files. Fixed: (Terrain Editor) Painting terrain texture does not work if "Mask by Altitude and Slope" checkbox is enabled. Fixed: (Schematyc) Switched the logic of Equal and NotEqual. As a polite reminder, this is an experimental release and features are subject to changes, bugs, and gremlins, as you’d expect with a beta production. Please back up your projects before working with any of our latest builds to make sure your core project is safe. If you find an issue please reach out to us via the dedicated thread here on the official CRYENGINE forum or report issues via GitHub Issue Reporter. In case of engine crashes, please use the Crash Reporter in the launcher when it pops up and don't forget to attach all reports! We hope you enjoy the build and we look forward to seeing what you can do with it. 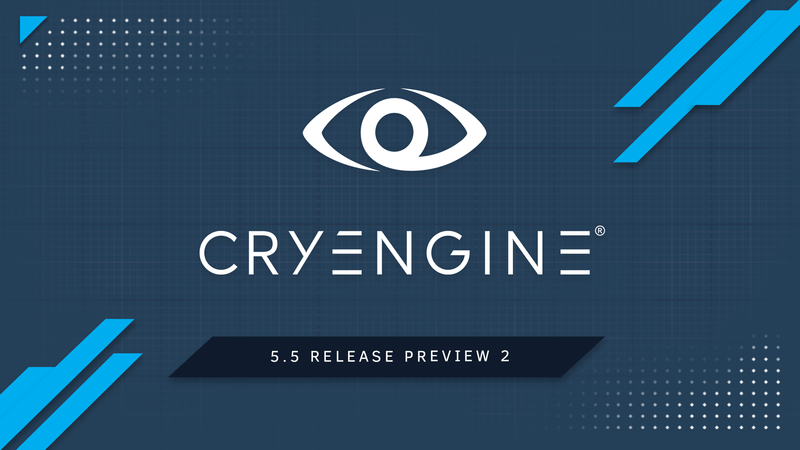 Re: [WIP] CRYENGINE 5.5 Preview 2 Live Now! Re: CRYENGINE 5.5 Preview 2 Live Now! I do not see one link with "CRYENGINE_preview_5.5.0.108_pc.zip" text ! I see only three links , please guide me... also like as Amazon Lumberyard , please publish one link ( Zip file Download) , that, We can download CryEngine EXE Sandbox... understand me? Unfortunately this cannot be reproduced on Preview 2 on this side. Can you make sure to Validate your engine and be sure it says Preview 2. Also that the project you are testing with is also set to the correct engine. Failing this, you may wish to find and existing or open a new topic regarding this issue. All options were tested for preview 2 with no issues. (Min.Max height, Min/Max slope angle etc). All figured out, it works!